See a close up of the weave, the tail, and a full view compared to a soda can. These rawhide whips are hand made in Cotacachi, Ecuador. 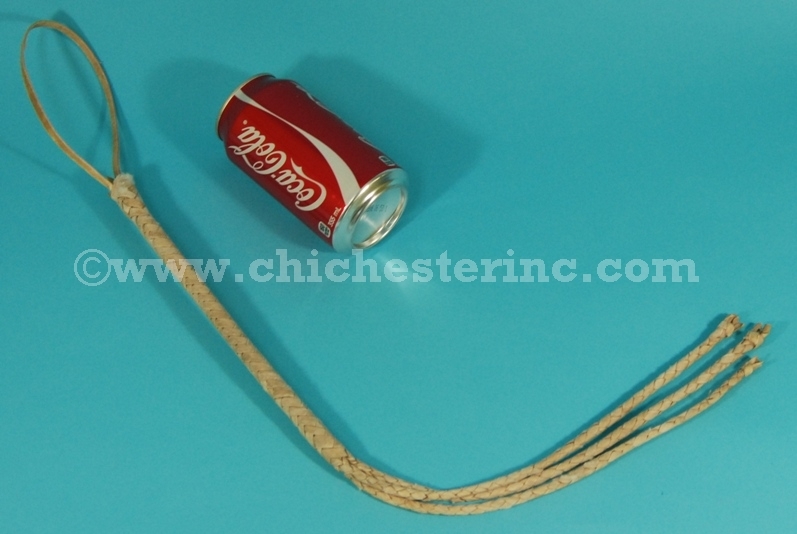 The rawhide whip is approximately 27" long, 0.5" wide, and weighs approximately 0.12 lbs. Cows are subject to CITES and are not for export out of the United States.